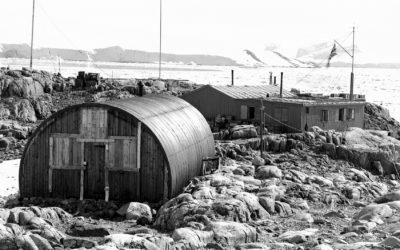 The British Government established its first stations in the Antarctic as part of the wartime expedition known as Operation Tabarin in 1944. Its aims were to deter access to anchorages by enemy ships and to strengthen Britain’s claim to the Falkland Islands Dependencies. This also provided an opportunity to undertake scientific research. Operation Tabarin was a joint undertaking by the Admiralty and the Colonial Office. It was renamed the Falkland Islands Dependencies Survey (FIDS) in 1945 and full control passed to the Colonial Office. At this time there were four stations, three occupied and one unoccupied. 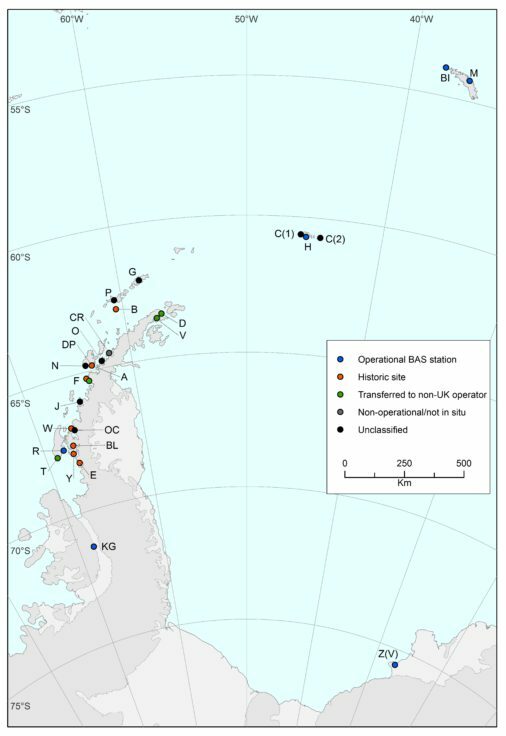 By the time FIDS was renamed British Antarctic Survey (BAS) in 1962, 19 stations and three refuges had been established. Two further stations have been established since then. The austral summer of 1958/59 saw the largest number open at any one time with 13 stations and three refuges occupied. Four stations currently remain open all year round and two more are occupied during the austral summer. 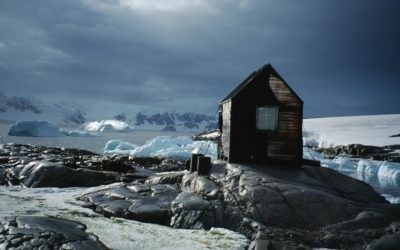 Under the Protocol on Environmental Protection to the Antarctic Treaty (agreed 4 October 1991, ratified 14 January 1998), abandoned bases and work sites must be cleaned up. To comply with the Protocol BAS carried out a survey of its closed stations in 1994. As a result, in 1995, four of these were designated as Historic Sites and Monuments under the Antarctic Treaty and have been preserved. The ownership of four more has been transferred to other countries, although one of these transfers pre-dates the Protocol. A brief history of the research stations and refuges is available as a pdf download. During Operation Tabarin, each station was identified by a code letter. This has continued with the opening of each new station since. Descriptions of stations are arranged in code letter order. Refuges and transit facilities were not identified in this way. They have been included in this list under the stations with which they were most closely associated. Many field huts and bird hides have been erected and re-sited over the years and these too are listed under the stations that supported them. The dates given for the first occupation are when personnel first established a station at that place. 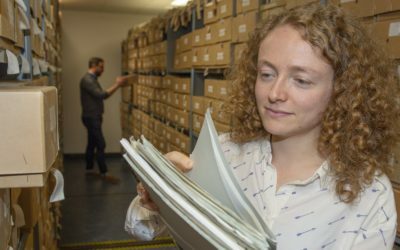 This usually involved choosing the position and unloading stores. The date given for the erection of buildings is the date when building commenced or, if this is not known, when the building was first occupied overnight. Dates recorded in association with memorials relate to when lives were lost and not when the memorial was erected. Until 1967 all permanent research facilities established by BAS and its predecessors were called bases. Those operating since then have officially been referred to as research stations. For simplicity the term station has been used throughout.